Drafting a winning fantasy baseball team consists of two strategies, one for hitting and one for pitching and while both are equally important, you have to pay attention to both. So how do we put together a great fantasy pitching staff? My model is five Starting Pitchers, three Strong Middle Relievers & a proven closer (good luck in the NL on that one). Let's not forget we also have in most leagues a five man Taxi / Reserve Squad as well. Let's break it down. 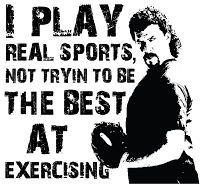 Are you a Pitcher? Do you love to draft Starting Pitchers? This guy can pitch! 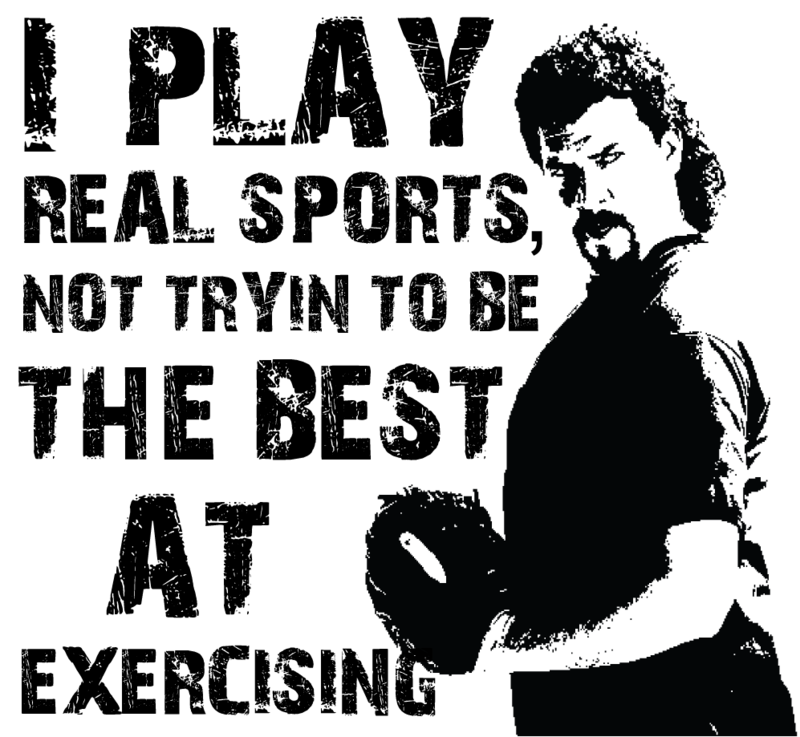 Get the Kenny Powers T-shirt for your draft HERE! Five Starting Pitchers will be our staff and there are two ways we can go about doing this. You can go the route of two dominant starters and three average or what I refer to as a push starter or one dominant starter, two very good starters and two push starters. To explain my definitions, a dominant starter is a proven ace who is not perceived to be an injury risk such as Doc Halladay or Adam Wainwright. A very good starter is a starter such as a Ted Lilly. A push starter is someone who is not going to hurt your ERA & Ratio and will finish in those categories right around your league average. While these pitchers will be a push in these categories they will also help us compile Wins & K's. Ideally, I prefer to have more depth and go the route of one dominant starter, two very good starters and two push starters. Last year the way my draft went, the value was not there for this format so I went with two dominant starters (Wainwright & Dan Haren) and three push starters (Brett Myers, ChrisYoung and Ross Ohlendorf). Haren needless to say really hurt me. Who knew as Haren has three dominant years in a row and was not considered an injury risk, but that's fantasy baseball sometimes. While Haren hurt me, Myers was a revelation while Chris Young was hurt all year. Ohendorf was decent with a 4.07 ERA, but his walks went way up and Pittsburgh couldn't win a game for him. Those three push starters cost me a total of $7 on draft day. Push starters we are going to get towards the last third of the draft and ideally we would like to get guys who are pretty good at K's and are on good teams in terms of wins. Again these back end or push starters we are only going to spend a small amount of our draft day budget on. While Ohendorf & C.Young did not work out last year, the analysis was sound. There are no guarantees and at the end of the day a push starter doesn't work out we can replace him via trade or league free agency - waiver wire. Again, I prefer to have to rely less on push starters but you have to see where the value is in your league on draft day. In a perfect world we would love to have two closers but in an NL only league unless we want to spend a lot of money on two closers. The only way that can happen is if we somehow luck out getting a cheap closer or a strong middle man at low cost turn into a closer. We want our closer to be reliable in both performance and health. In the NL, that's a short list and will be a different offseason article. Also, we would like to have a closer who is at least solid in K's. Whoever your closer is you should draft that teams backup plan to their closer in case their closer goes down due to injury. So if you Brad Lidge as your closer you must have Ryan Madson. If you have Heath Bell you should have Mike Adams. It's not always easy to identify the backup guy however that's where homework in handy. This is the secret weapon of an NL Only pitching staff. What would you say if I told you can have a dominant starter for $10 - $12? Sounds good huh? Well if you have the right middle relievers you can. Heading into this coming season I have Evan Meek, Luke Gregerson and Jason Motte for a total of $11 draft dollars. Last year this trio had 13W, 8SV's, 2.57 ERA, 0.99 Ratio, 213K's in 210 IP. Those are ace numbers with 8 saves thrown in. In my league these three guys went last year $7 total draft dollars and a reserve - taxi squad spot. I am sure that was the case in most NL only leagues because by the time the middle relievers come up it's the very end of the draft and no one has any money left. Now the rub is that many times a middle reliever will have a great year and the next year is not the same pitcher. That's where your homework comes in. There are a group of middle men who are reliable and dominant and if you can land these guys for a few draft day dollars they can be immense to your pitching staff and your team. This is so important there will be an article focusing on the top middle men who you can count on later on this offseason. Most leagues have a straight draft after the main draft for a 5 man taxi squad also known as the reserves. We are going to use this part of the draft as an insurance policy for our pitching staff. We are going to use one slot on a push starter who lasted to the reserves as well as one middle reliever who lasted as well. This way if one of our push starters or middle relievers struggles or gets injured we could have a backup plan stashed on our reserves. If everyone pitches well then we have depth to make a trade to help our team in another area. To me putting together a staff is very hard to do but this model and in an NL only league I believe does wonders.